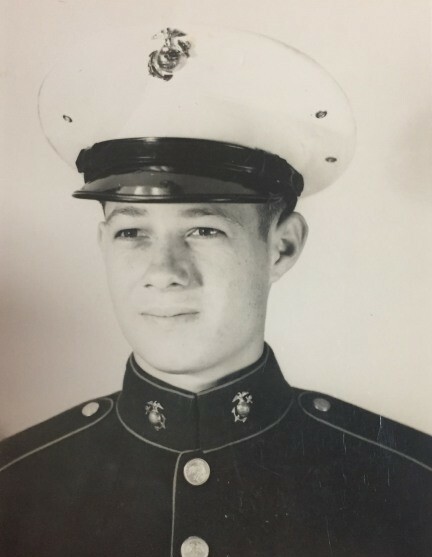 Charles Darrell Blakeney, age 84, passed away on March 27, 2019. He was born in Wichita Falls, TX on January 22, 1935 to Charlie Ben Blakeney and Lottie Sheets Blakeney. Loyal and kind, he was an exceptional man that lived his life well. Remembering the little things was important to him, Darrell always believed in being prepared and having a plan. While in college, he met the love of his life, Juanita, when she and a friend arrived at the gas station where he worked; with them being short on money, he agreed to trade them gas for a date. So, their story began, and after he secured work in Beaumont and a place for them to live, Darrell returned to Juanita’s hometown of Huntsville to ask for her hand in marriage. On September 1, 1956, they started their lives together; for the next 63 years, she was his “Honey”, and he was her “Baby”, with their love producing five children. An exemplary father, he raised his children well, investing in them the values of hard work, faith and family; for his dedication to what was most important in his life, he has the respect and love of all his children. He was very intelligent; there was hardly a question that he could not provide a response, or a problem that he could not quickly supply a solution. Before there was Google, a phone call to dad provided an answer. He was a passionate fisherman, and he passed his love of fishing on to his sons and grandsons. After retiring from his career at Chevron, Juanita agreed to move to the lake until he got tired of fishing, but that day never came. When his health no longer allowed him to fish, he and Juanita would sit at the table for hours doing puzzles and talking. The lake provided much needed relaxation for Darrell and Juanita, and he expressed the laid-back nature of their retreat with stretching arms and his “boogey bear, boogey bear” yawn. “Pawpaw” loved to spend time with his numerous grandchildren, and they were all his favorites, enjoying taking them to the nearby forest to birdwatch and listen to their calls. He loved to cook and made wonderful food, with some of his best being Hawai’ian Chicken, Dressing and his unparalleled beans. Darrell leaves behind a special legacy, and his memory and love will forever be in his loved ones hearts. Left to honor his memory is his loving wife of 63 years, Juanita; sons, Charles Darrell “Jimmy” Blakeney Jr and wife, Pam, of Kountze, TX and Kavin Blakeney and wife, Donna, of Orange, TX; daughters, Belinda McNeely and husband, Randy, of Vidor, TX , Pam Cargill and husband, Dennis, of Orange, TX and Stacey Hillebrandt and husband, Randall, of Orange, TX; brother, Roger Blakeney of Houston, TX; sister, Joy Johnson of Nederland, TX; 15 grandchildren; and 29 great-grandchildren. Darrell is preceded in death by his parents. Darrell’s life honoring memorial service will be at 2:00 p.m., at Forest Oaks Funeral Home, 601 W. Gibson St., Jasper, TX 75951, with Bro. Eric Stephens officiating.